There are plenty of things to complain at with the way video games are advertised these days, but what people often forget is that game ads have always been a little...different. Some of them are confrontational, some are a little questionable in content, and some are just weird. 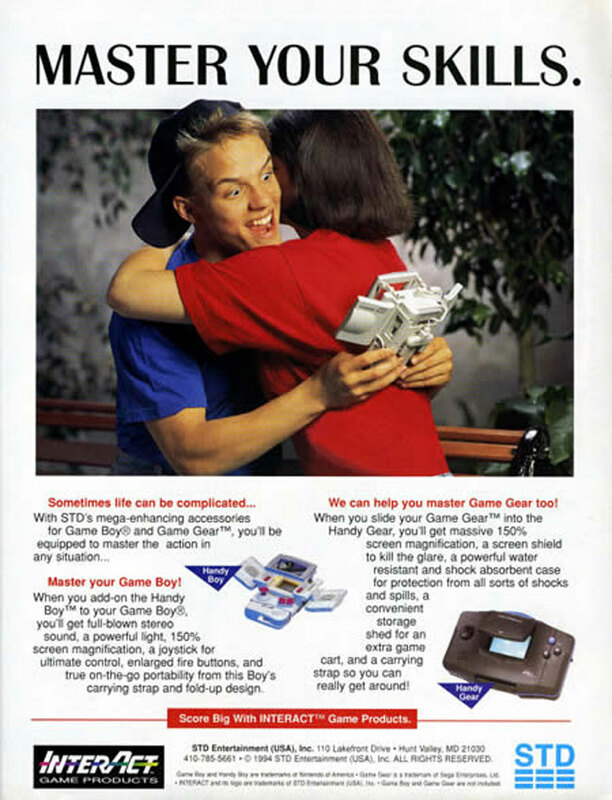 These eight retro gaming ads should illustrate exactly what we're talking about here. That face. Oh man, that face. I do have a couple of questions, though. Was anyone's Game Boy ever actually that tricked out? I mean, that thing has every accessory known to man on it, including the joystick and the oversized buttons. I remember seeing those in the store as a kid, and even much younger me knew that no one was buying that stuff.